This comprehensive treatise of more than 700 pages on the Code of the Court of Arbitration for Sport (CAS) (the Code) is an excellent resource that is useful to a wide audience, including attorneys representing parties before the CAS, CAS arbitrators, and sports law professors and scholars, as well as international arbitration counsel, arbitrators, and scholars. It also should be of interest to national court judges and their law clerks because it facilitates their understanding of the CAS arbitration process for resolving Olympic and international sports disputes and demonstrates that the Code provides procedural fairness and substantive justice to the parties, thereby justifying judicial recognition and enforcement of its awards. Because the Code has been in existence for more than twenty years—since November 22, 1994—and has been revised four times, this book provides an important and much needed historical perspective and overview that identifies and explains well-established principles of CAS case law and consistent practices of CAS arbitrators and the CAS Court Office. Both authors formerly served as Counsel to the CAS and now serve as Head of Research and Mediation at CAS and CAS Secretary General, respectively, giving them the collective expertise and experience that makes them eminently well-qualified to research and write this book. The extensive commentary and materials in this prodigious work are useful in understanding the history and operation of the CAS, as well as the process by which CAS arbitration resolves disputes and establishes an evolving, rich body of lex sportiva. The book’s many useful features include the following: a thorough and detailed index; a table of acronyms; integrated discussion of the Code’s provisions and their application by CAS panels, their relationship to and consistency with the Swiss Private International Law Act (PILA) requirements along with relevant comparisons to the Swiss Code on Civil Procedure (Swiss CCP), and judicial interpretation through review of CAS awards by the Swiss Federal Tribunal (SFT); thousands of footnotes and citations, reflecting the product of exhaustive research; comparisons to analogous International Chamber of Commerce (ICC), London Court of International Arbitration (LCIA), and United Nations Commission on International Trade Law (UNCITRAL) rules; an extensive bibliography; numerous charts and graphical illustrations; several sample provisions and documents; and comprehensive lists of all referenced CAS awards and SFT cases reviewing CAS awards. Based on my perspective as a sports law professor and a CAS arbitrator who also arbitrates domestic sports, commercial, and consumer disputes in the United States, I found the authors’ discussion of many of the Code’s provisions to be particularly helpful and/or interesting. Article R27 provides that the Code’s procedural rules apply when the “parties have agreed to refer a sports-related dispute to CAS.” A variety of important issues are carefully addressed, including the authority of a CAS panel to determine its jurisdiction (“Kompetenz- Kompetenz”), which also is discussed in connection with Article R39 (in which this authority is explicitly conferred), as well as the form and material conditions Article 178 of the PILA requires for a valid arbitration clause and for CAS jurisdiction to exist. In addition, there is a thorough discussion of the relationship and differences among CAS jurisdiction, the arbitrability of particular disputes, the legal standing of the parties whose substantive rights are affected under Swiss law, and the relevance of foreign laws in resolving these issues. Several examples of clauses permitting CAS jurisdiction to resolve sports-related disputes are provided in the accompanying Annexes. Article R28 provides that the seat of any CAS arbitration is Lausanne, Switzerland, regardless of the geographical location of the arbitration proceeding. The authors explain the importance and implications of this rule, which effectively provides that Swiss law governs the procedural aspects of all CAS arbitration proceedings throughout the world. The creation of a uniform procedural regime establishes a stable legal foundation for CAS arbitrations that ensures coherence in determining the law governing the merits of the dispute pursuant to Articles R45 and R58, in the developing body of Olympic and international sports law established by CAS awards (with limited judicial review by the SFT under the PILA), and in equal treatment of the parties. Article R33 inter alia requires the independence and impartiality of CAS arbitrators and panels in connection with the cases to which they are appointed. Article R34 establishes the process pursuant to which the International Council of Arbitration for Sport (ICAS) considers and resolves challenges to an arbitrator’s independence or impartiality. There is an elaborate discussion of this important topic that explains the distinction between “independence” and “impartiality,” provides guidance regarding an arbitrator’s disclosure obligations (with references to the International Bar Association (IBA) Guidelines on Conflicts of Interest in International Arbitration), and gives illustrative examples of circumstances giving rise to objectively justifiable doubts regarding an arbitrator’s independence (and those that do not) from the perspective of the ICAS or the SFT. The authors’ commentary provides a historical perspective regarding the application and evolution of these Code rules and identifies their underlying roots in Articles 179 and 180 of the PILA. Article R37 is based on Article 374 of the CCP and enables the appeals or ordinary arbitration president or a CAS panel to grant provisional (i.e., interim) measures to either safeguard a party’s right that is at risk or to exercise its right during the pendency of a CAS arbitration proceeding. For example, an athlete may request the stay of an appealed decision of a sport body imposing a doping or disciplinary suspension that prevents him from participating in an upcoming athletic event. The text explains the prerequisites for granting provisional relief, including: exhaustion of potential legal remedies within the sports organization or tribunal rendering the appealed decision, plausible CAS jurisdiction, irreparable harm, reasonable likelihood of success on the merits, and balance of interests. There is a detailed discussion of the irreparable harm requirement, which provides several illustrative examples. The authors note that a party’s request for provisional relief constitutes a waiver of any right to request such relief from a court and that a CAS order granting or denying provisional relief cannot be challenged before the SFT because it is not a final CAS award. Article R44 governs the CAS ordinary arbitration procedure (e.g., written submissions, hearing, evidentiary proceedings, expedited procedure, and default awards). The authors provide a detailed overview of each of these procedures, while pointing out that all evidence (e.g., exhibits and\ summaries of the testimony of witnesses and experts) must be filed at the same time as written submissions—which are mandatory—and that a hearing is optional. They note the responsibilities of the CAS panel president in connection with these procedures and offer guidance regarding the steps to be taken to ensure appropriate discharge of the procedures. There is a particularly useful explanation regarding a CAS panel’s discretion in determining the admissibility of evidence, as well as its authority to order the production of evidence (e.g., documents, examination of witnesses) from a party and appointment of independent experts and the procedure for doing so. The Annexes include a helpful checklist regarding the eight stages of a CAS hearing (i.e., opening of hearing, preliminary remarks by parties, hearing of witnesses, hearing of experts, examination of parties, closing of evidentiary proceedings, closing oral arguments, and the deliberation by the panel) that supplements the discussion in the text. Articles R47, R48, R49, R51, R55, and R56 collectively constitute the key Code provisions governing the CAS appeals arbitration procedure for appeals against a final decision of a sports federation or association, the largest group of cases before the CAS. Similar to their discussion regarding the CAS ordinary arbitration procedure, the authors provide detailed commentary regarding the appeals arbitration procedure, which is more complex and governed by more rules. Among the important topics covered are the following: prerequisites for CAS jurisdiction, including the need for a final decision by a sports body and exhaustion of its internal legal remedies, along with a valid arbitration agreement; the importance and method of determining applicable deadlines for each stage of the appeals arbitration procedure, as well as the consequences of late submissions; and the required components of an appellant’s statement of appeal and appeal brief as well as a respondent’s answer. The accompanying Annexes for these rules provide checklists and illustrative charts that significantly facilitate an understanding of the appeals arbitration procedure. Articles R45 and R58 determine the substantive law applicable to the merits of cases arising under the CAS ordinary and appeals procedures, respectively. The authors explain that parties’ agreement to submit their dispute to CAS arbitration for resolution, which constitutes their agreement to have the Code and Swiss law provide the applicable procedural rules, does not necessarily mean that Swiss law is the substantive law to be applied regarding the merits of a dispute. They note that: (1) both Articles permit parties to choose the applicable rules of law, which may be a system of rules other than national law (e.g., the Olympic Charter, International Federation statutes, or the World Anti-doping Code in an appeals arbitration proceeding) if the laws “satisfy the need of rationality, security and foreseeability” and are relevant to the disputed issues; (2) each Article identifies the governing national law in ordinary Swiss law or appeals arbitration (“law of the country in which the federation, association or sports-related body which has issued the challenged decision is domiciled”) if the parties do not do so; and (3) a CAS panel should apply laws considered to be “mandatory” according to Article 19 of the PILA (e.g., European Communities law). The authors identify and discuss the narrow limits on parties’ freedom to choose the law to be applied to the merits of their dispute (i.e., the chosen law cannot manifestly violate international or transnational public laws). They point out the important distinction between the provision of Article R45, which empowers a CAS panel to rule ex aequo et bono (i.e., as a matter of equity rather than according to specific legal rules) if the parties authorize the panel to do so, and the differing provision of Article R58, which authorizes a panel to apply the “rules of law [it] deems appropriate” and to give reasons for its decision, while providing detailed explanations of both provisions and the CAS practices pursuant thereto. They observe that a CAS panel should apply the parties’ validly chosen rules of law to avoid a judicial challenge to a CAS award on the ground it violates the right to be heard, while noting that its mere failure to do so or to apply the wrong law is not a per se violation of a party’s right to be heard. A CAS award will be vacated by the SFT pursuant to Article 190 paragraph 2(e) of the PILA on the ground that public policy is violated only if application of the chosen or appropriate law would change an award’s outcome. this provision is the milestone of the CAS appeals procedure, since it not only specifies the scope of the Panel’s review of the case . . . but also provides essential information on the conduct of the hearing and the power of the Panel to proceed with the hearing in case one of the parties is duly summoned but fails to appear. Limits on the CAS’s de novo power of review, which preclude the panel from adjudicating issues other than those raised by the parties, changing or rewriting sports federation rules, and reviewing field of play decisions, are also identified and discussed. They note that a CAS panel should be cautious about exercising its discretion under Article R57 “to exclude evidence presented by the parties if it was available to them or could reasonably have been discovered by them before the challenged decision was rendered” in order “to guarantee the parties’ access to justice and a full review by an independent arbitral tribunal.” The authors also describe the eight main stages of an appeals arbitration hearing (which are the same as those for an ordinary arbitration appeal) in both the text and an accompanying checklist in the Annex, as well as provide an overview of how a hearing generally is conducted and issues that may arise in connection therewith. Articles R46 and R59 apply to the award in ordinary and appeals arbitrations, respectively. The authors note that awards in both proceedings are by majority decision; must state brief reasons for each resolved issue and be written, dated, and signed; set forth the basis of CAS jurisdiction; determine which party bears the arbitration costs; are final and binding on the parties with res judicata effect; and are enforceable on the date the parties are notified of the operative part of the award. The CAS Secretary General reviews all awards for form (e.g., errors in grammar, spelling, or calculation of numbers are corrected) and fundamental issues of principle. Although CAS arbitration awards do not constitute binding precedent or have a stare decisis effect in subsequent similar cases, CAS panels frequently cite to and rely on prior awards. This effectively “accord[s] to previous CAS awards a substantial precedential value and it is up to the party advocating a jurisprudential change to submit persuasive arguments and evidence to that effect.” Thus, the CAS Secretary General’s review of an award regarding fundamental issues of principle includes pointing out any departure from well-established CAS jurisprudence without adequate reasons and suggesting revisions in an effort to “ensure that there is no unjustified change in the CAS established case law under the same or similar conditions.” However, the authors note that “the CAS Secretary General may only suggest some changes and cannot impose them to the Panel, which remains solely responsible for the award and is free to accept the suggestions or not.” They observe that CAS ordinary arbitration awards, which typically resolve commercial disputes between the parties, generally are confidential and not published; whereas CAS appeals arbitration awards, which resolve appeals from final decisions of sports federations, are usually published to facilitate the development of a uniform body of Olympic and international sports law (including interpretation and application of the World Anti-doping Code). The commentary regarding Article R59 includes a comprehensive discussion of the grounds on which the SFT may vacate a CAS ordinary or appeals arbitration award pursuant to Article 190 paragraph 2 of the PILA: (1) irregular composition of the CAS panel (e.g., lack of independence or impartiality); (2) lack of CAS jurisdiction over the parties or claims; (3) failure to decide a validly raised claim, or deciding a claim or issue not raised by a party; (4) violation of the parties’ right to be heard or equal treatment; and (5) violation of procedural or substantive Swiss and international public policy (i.e., the essential and widely recognized values prevalent in every legal system). The authors provide a detailed qualitative analysis of each of these defenses, as well as provide aggregate statistics regarding their respective success, and identify the SFT cases in which a particular defense is successful. This excellent book is a must-read for attorneys representing parties before the CAS and CAS arbitrators. 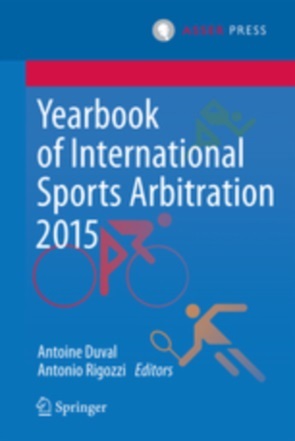 It is a valuable resource for sports law professors and scholars, as well as international arbitration counsel, arbitrators, and scholars concerning the CAS arbitration process for resolving Olympic and international sports disputes. 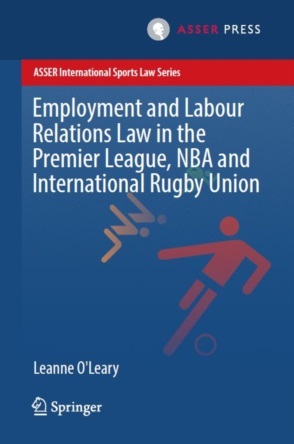 This book is an important addition to my library of sports law materials, which I anticipate consulting and referencing frequently. See James A. R. Nafziger, International Sports Law, Handbook on Int’l Sports Law 27–28 (James A. R. Nafziger & Stephen F. Ross eds., 2011) (the CAS has established the “gold standard in resolving sports-related disputes” by “ensuring fairness in terms of even-handedness, impartiality, acting in good faith, and coherence.”); Matthew J. Mitten, The Court of Arbitration for Sport’s Jurisprudence: International Legal Pluralism in a World Without Boundaries, 30 Ohio St. J. on Disp. Resol. 1, 42 (2014) (“The CAS arbitration system ‘demonstrates how civil and common law legal systems can function effectively together within an international tribunal to resolve a wide variety of complex, time-sensitive disputes between parties of different nationalities,’ which produces ‘globally respected adjudications” of Olympic and international sports disputes’). Despina Mavromati & Matthieu Reeb, The Code of the Court of Arbitration for Sport – Commentary, Cases, and Materials 19 (2015). The authors also provide helpful commentary regarding Articles R50, R53, and R54 that addresses the number, nomination, appointment, and confirmation of arbitrators as well as Article R52, which addresses initiation of the appeals arbitration proceeding by the CAS, as well as expedited and consolidated proceedings. CAS 2006/A/1123& 1124, Al-Gharafa SC v P. Wanchope Watson & P. Wanchope Watson v. Al-Gharafa SC, award of 18 December 2006, §67. Mavromati & Reeb, supra note 3, at 535. “The full review by the CAS is the principal reason for excluding a full review by the state courts (i.e., in case of a subsequent appeal against a CAS award to the SFT, the later will not fully review the case but will act as a cassatory court based on the exhaustively enumerated grounds of Article 190 paragraph 2 PILA).” Id at 520. Article R64 applies to CAS ordinary and appeals arbitration costs, but Article R65 pertains only to CAS appeals arbitration costs in proceedings involving appeals against decisions issued by international federations in disciplinary matters; both of which the authors comprehensively discuss in their commentary and Annexes regarding these rules. CAS 2008/A/1545, Anderson et al v IOC, award of 16 July 2010, §116. Mavromati & Reeb, supra note 5, at 367.